To begin, we start with tools. Now, here's the deal: the best thing about writing is that all you really need is paper and pen. The worst thing about being a writer is that all you need is paper and pen. Why do I say that? Because sometimes I long for a profession that has more tools to it. Think of all the great equipment painters get to play around with. Or architects. Or construction workers. Sometimes I think that if writing required more tools, it would make it easier. Then if the words didn't come, we could blame it on a rusty saw instead of an addled brain. Alas, such is not the case. All we really need is paper and pen. Or pencil. Yes a computer is pretty good, too, obviously, but its not a technical requirement. And for me, when I'm flailing in my writing, I return to the basics of paper and pen. Which is why I choose my few tools carefully, and you should, too. I have a thing for pens, for starters. Have to have just the right one, the one that feels right, or the words won't flow. The pen that feels right varies from day to day, too. The one that is perfect on Sunday may not work for me at all by the next Friday. But most of the time I go on pen kicks. I've been on a fountain pen kick for quite awhile now. But sometimes I find a pen at the grocery store I like and use that until I get bored with it. 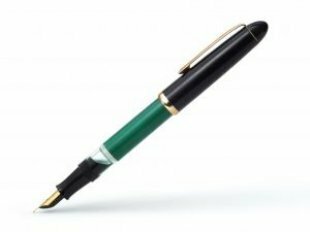 The point is to find a pen or pens you love and buy them by the bushel because you'll need them. Pens have an annoying habit of running out of ink. They also disappear. I'm convinced that somewhere there is an alternative universe built entirely from lost pens, the stray socks that the dryer eats, and all the Legos my son lost when he was a little boy. And then, of course, there is paper. Ah, journals. Just when I think I'm totally in love with Moleskines and will never, ever, ever use anything else, some lovely flowery thing presents itself to me at an office supply store and I buy six of those. And then there are legal pads. And notebook paper. I love it all. But what I choose to write on at any given moment has to be right for the project I'm starting. (I'm really not quite as neurotic as all this sounds.) Sometimes I want to keep all my notes and ideas together in a journal and sometimes I want the space a legal pad provides. All this is by way of saying that the few tools we get are important. So treasure them. And choose them wisely. 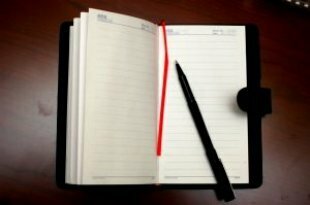 Buy a journal and pen that you love. Or if you adore writing with pencils, do it. Get the pen that has the right heft in your hand so that you pick it up and just feel like writing. Because now it is time to…. All you really have to do is pick up your pen and write. Just that. Nothing more. It is that simple, and yet we make it incredibly hard. I know this, because I make it hard all the time. I think that I don't know what to write about, what I want to write about, or what I should write about. Sometimes when I pick up my pen and journal, nothing comes. All you have to do is start from where you are now. Stop. Sit down. Pick up your pen and paper. Look around you. And begin. What do you see? Write about it. What do you really see? Write about it. What do you really, really see? Look closely. Look at an object as closely as if you were drawing it. Write about what is right in front of you. All of it. Every blessed thing you see–the stain on the floor and how it looks like Harold from Harold and the Purple Crayon, the translucent dried leaf on the potted plant, the elegant mien of the woman in the black and white striped cardigan at the table next to you. Or the way the sunlight strains through your studio window. Geneen Roth talks about the state of being married to amazement, which is a line from a poem by Mary Oliver. And that is what writing about what's in front of you will do. Writing about the pattern of veins on that potted plant's leaves will have you gasping in awe at the beauty of this planet. 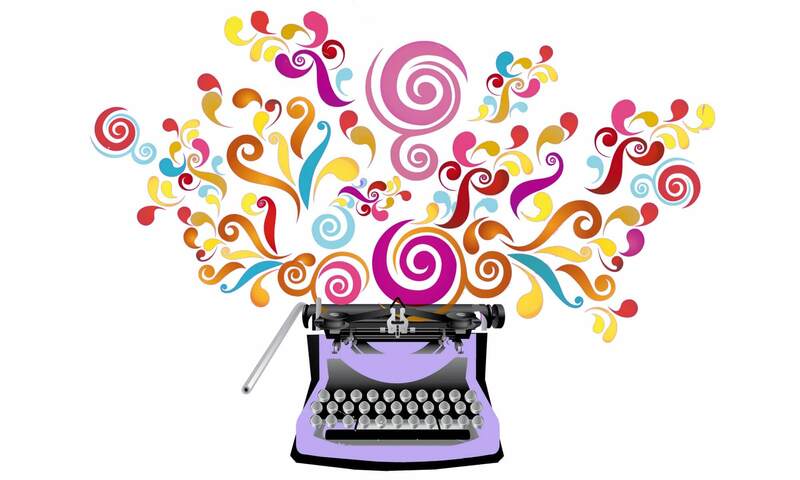 Writing about what's in front of you will create amazement about every aspect of your life. Washing your hands, you'll note the feel of the cool water and the sweet smell of the vanilla soap. Writing this way makes you begin to notice things. And if you can begin to notice what's in front of you, you can begin next to put together a poem about it. Or a short story. Or it will lead to an idea for an article. Maybe even a novel. In this way, we write. And all you have to do to get there is just begin. On Thursday, we'll get into the first foundational practice that will turn you into a prolific and prosperous writer, connecting. So stay tuned! 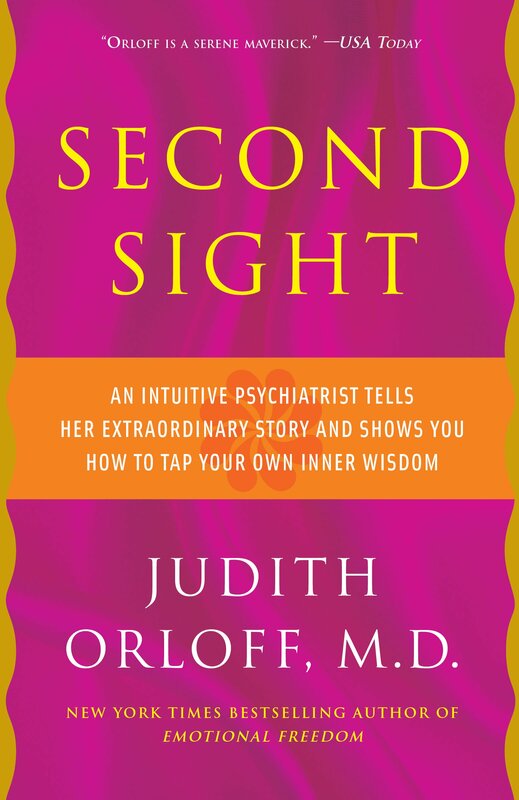 I was offered the chance to review Second Sight and leapt at the chance because of the subject matter- intuition. I'm always curious about intuition and looking for new ways to access it. Reading this book got me jazzed about working with dreams and re-charged my meditation practice. 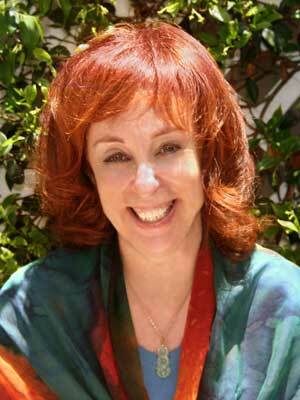 The author, Judith Orloff, came out of the intuitive closet to first write Second Sight in 1996. Seeing as how she is a practicing psychiatrist and has been on the staff of the UCLA Medical Center for years, this was a courageous act. At the time, many people linked the faintest whiff of intuition with tacky psychics you access on 800 numbers. Lots has changed since then–lots and lots–and so Orloff felt compelled to bring the book out in a new edition with a new foreword. I'm glad she did, because I missed it the first time around and I really loved this book. It is part memoir and part guide to encourage more intuition in your life. The first section of the book tells the story of her life, beginning with an amazing near-death experience that she had as a teenager. This only added more confusion to her rebellious life. The daughter of two prominent LA physicians, Orloff had been having visions, dreams and premonitions since she was a young child. When Orloff told her mother of her visions, she was told in return that she needed to grow a thicker skin, or any of several similar comments common to the time. So Orloff tried to ignore her intuitive gifts and buried herself in a life with a strict allegiance to science, becoming a psychiatrist. And then one day Orloff ignored what her inner voice was telling her about a patient–and that patient tried to take her own life. Had Orloff listened to her intuition, she would have realized the serious state of her patient's mental health, and perhaps have been able to circumvent the suicide attempt (luckily, the patient survived). This experience sent Dr. Orloff into a tailspin during which she reconsidered how she had turned away from her intuitive gifts, and from this point on, she learned not only to improve them, but how to use them in her practice. The second half of the book offers a guide to how readers can start to use their intuition, too. She writes about dreams, including psychological, guidance, precognitive, and healing dreams, and explains how to keep a dream journal. This chapter got me interested in writing down my own dreams again. I've been of the opinion lately that I can't remember my dreams, which is in a way a form of laziness. Instead of lying still upon awakening to remember my dreams, and then taking the time to write them down, I hop out of bed, eager to get to my cup of coffee. In her chapter on intuition in everyday life, she writes about synchronicity, deja vu, and intuitive empathy. Orloff offers ways the reader can encourage their own empathy through meditation, setting up an altar, and the power of ritual. As she says about meditation, "Intuition flourishes when you give it a space to grow. Meditation can provide this." Her enthusiasm for mediation has, as mentioned above, pushed me to return to it with renewed vigor. 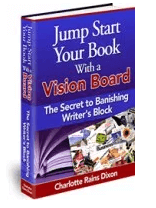 I truly believe that writers benefit every day in a variety of ways from accessing their intuition, and this book gave me fresh insights into how I can access my intuition and use it in service of my creativity. If you want to be an abundant writer, you'll want to be in close touch with your intuition. You can read the post I wrote specifically about using intution in writing, inspired by my reading of Second Sight, here. Today is a big day, with the re-release of Second Sight being celebrated with gusto on Orloff's site, so see below for info on how to take advantage of this. receive 80+ GIfts from amazing teachers such as Dr. Joan Borysenko, Rev. A couple weeks ago I wrote a post about not making having time to paint. And finally, last night, I got to it. This morning, I realized one of the reasons, besides the pure fun of it, that painting is so good for me. It is because I am approaching it with a beginner's mind. That would be because I am a beginner. There is something both terrifying and wonderful about doing something you don't have the vaguest clue how to do. To engage in an activity as a beginner is to see the world anew. And of course, many spiritual traditions, most notably Zen Buddhism, encourage approaching life with this mindset. But I have been writing for so long it is nearly impossible for me to look at writing with fresh eyes. I can look at each project with new eyes, and I can switch from fiction to non-fiction and back again to keep things lively. But I write so much and so often that it is difficult to remember the terror of facing the blank page and not knowing what to do. Because last night I faced a blank canvas and I didn't know what to do. It was paralyzing at first. And I turned to my usual comforts–words. I looked through the books on painting I'd gotten for Christmas, ignoring the images in favor of reading the text. Not finding exact, step-by-step instructions for how to begin, which was what I was seeking, I moved on, to the pamphlet that came with the acrylics. Um, not much of use there, either. Finally there was nothing to do but just begin. So I squirted some paint on the little round plastic palette and and started covering one of the canvases. (You can see in the photo above that I started on very small canvases.) And it was wonderful. Once I had the whole thing covered in blue, I experimented with adding dabs of red. And then I decided that what I really wanted to paint was a flower. And so I worked on that for the rest of the night. And I was happy. Because it was fun. And it didn't matter what the end result looked like. It didn't matter that I'm not an accomplished painter (you can see proof of that in the photo above). What mattered was the process and the joy I felt in doing it. What mattered was that even though I'm not good now, I can see that I'll only continue to improve. So here's what I've gleaned from my first experience with painting. 1. Tools for the Journey–There are none. You just have to jump in. You just have to do it. You just have to pick up the brush and dip it in the paint, or put your hands to the keyboard and begin writing. That really is all that is important. 2. Process trumps Product–I struggle with this. Any professional writer does. The trick is to create good work that will hold up in the marketplace while still allowing yourself to get lost in the flow. But painting reminds me that ultimately it is all about the process. 3. You Can Always Improve–And you will if you continue to practice painting or writing or any creative project. The one thing I loved about my son playing video games as a boy was that it taught him he could improve his skills if he just kept at it. 4. It is Worth It–It's worth it to find the time, to carry the card table up from the basement, to get organized, to take the first flying leap onto the canvas. 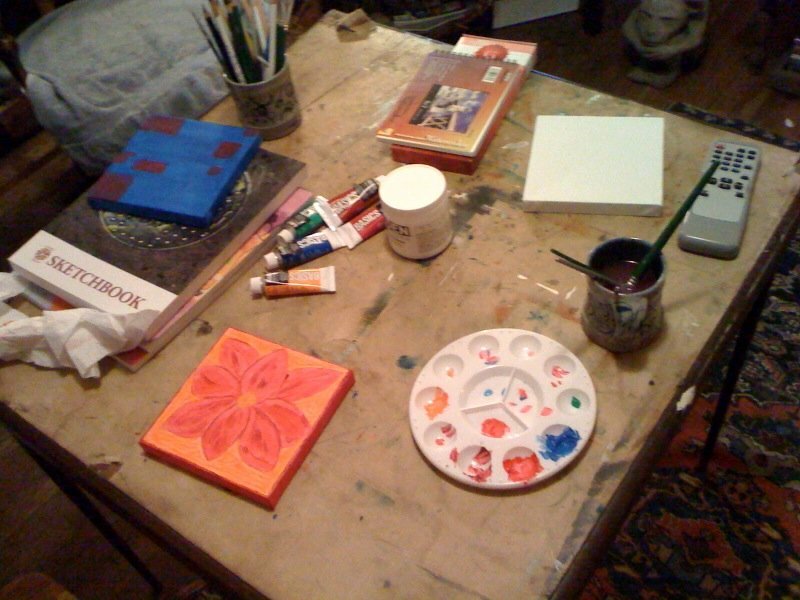 Because painting is fun, and transporting, and absorbing, just like writing. So now I'm going to take these insights and apply them to writing. I'm going to attempt to be a beginner again, every time I return to the page. I think it is another path to writing abundance. How about you? Any experiences with being a beginner? **And remember, if you struggle so much with getting words on the page that you need help, I offer writing coaching and mentoring. Just email me–the address is at the top of the page.